USDA’s annual Farm to School grants are designed to increase the amount of local foods served in schools. Since 2013, the Office of Community Food Systems has awarded over $20 million to more than 300 grantees for farm to school, which encompasses efforts to integrate regional foods in child nutrition programs. It also connects children to the source of their food through cooking classes, taste-tests, farm visits and school gardens. Grants range from $14,500 to $100,000 for farm to school planning, implementation and training. On June 12, we awarded Farm to School grants to 65 grantees, which will reach approximately 5,500 schools and more than 2 million students. Selected projects are located in urban, rural and suburban areas across 42 states and Puerto Rico. We estimate that 37 percent of the target school districts are rural. Additionally, 14 projects will occur in the pre-K environment, while 27 projects will occur in summer feeding programs. State agencies and Indian Tribal Organizations remain a priority for Farm to School grant funding. And this year, we will fund 17 state agencies and one Indian Tribal Organization, The Karuk Tribe of California. We congratulate our 2017 Farm to School Grantees, including Magdalena School District, as they are handed the torch to continue the farm to school work that has impacted over 23 million children nationwide thus far. Learn more about this year’s grantees by checking out the 2017 Farm to School List of Awardees. Our lovely little school was offered a large unused green house for our school yard. However we do not have all the funding for this great education opportunity for our kids. We are not a title one school so trying to get help with this purchase has been difficult. Help please. @Sheri Hershman - thank you for your comment. 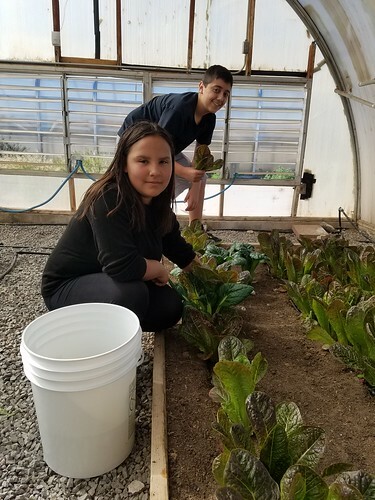 USDA offers support to schools, State agencies, nonprofit organizations, producers, and Indian Tribal organizations in implementing and expanding farm to school efforts. Each year, USDA awards grants and provides loans to help schools connect with local producers and teach kids where their food comes from. These funds support activities ranging from training, planning, and developing partnerships, to purchasing equipment, planting school gardens, and organizing field trips. For more information on USDA Grants and Loans that support Farm to School Activities, please visit www.fns.usda.gov/farmtoschool/grants-and-loans.